Consumer Groups Want Lead Out Of Lipstick : Shots - Health News A consortium of consumer and environmental groups says there's too much lead in lipstick. The Food and Drug Administration says there's nothing to worry about. Time to get the lead out? Valentine's Day brought new attention to an old issue. Is the amount of lead found in lipstick a health hazard? The Campaign for Safe Cosmetics, a consortium of consumer and environmental groups, thinks so. They've argued that there's no safe level for lead in lipsticks — especially for pregnant women and kids — and want the agency to do something to bring the amount of the metal down. 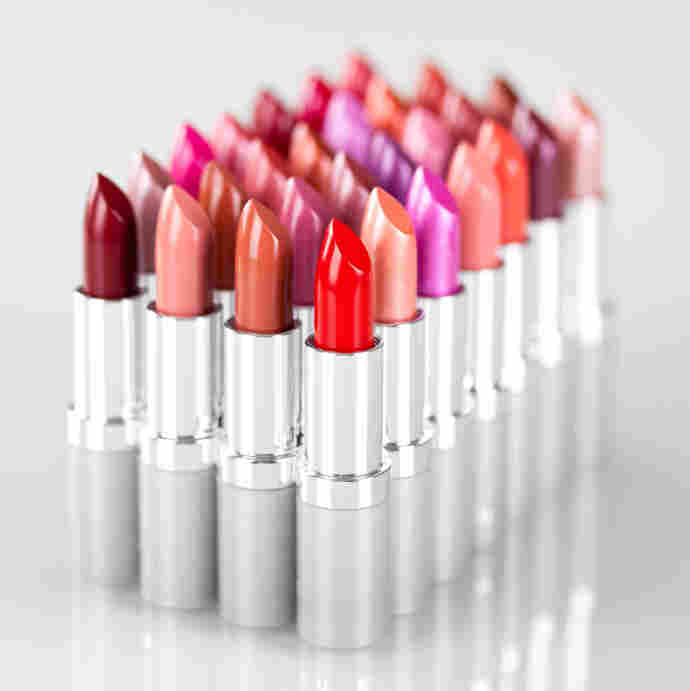 Earlier this month, the group fired off a letter urging FDA to put a limit on lipstick lead. A trade group for cosmetics makers says lead isn't put in lipstick on purpose, but it sometimes contaminates raw ingredients. There's no specific lead limit now for any cosmetics, though color additives used in them are capped at about 20 parts per million, the FDA says. "Lipstick, as a product intended for topical use with limited absorption, is ingested only in very small quantities. We do not consider the lead levels we found in the lipsticks to be a safety concern." The CSC questioned that assessement, asking the FDA how it came to that conclusion. The agency released test result for 400 lipsticks late last year. Overall, the agency found the average lead concentration in lipsticks to be 1.11 ppm. While the agency said the results don't rise to the level of concern for public safety, it is considering the necessity for "an upper limit for lead in lipstick in order to further protect the health and welfare of consumers." If you're worried about lead in the meantime, you can pick lipsticks with less of it.